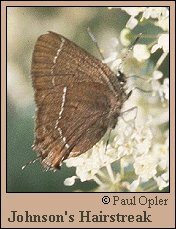 Identification: Upperside of males rusty brown, females more orange. 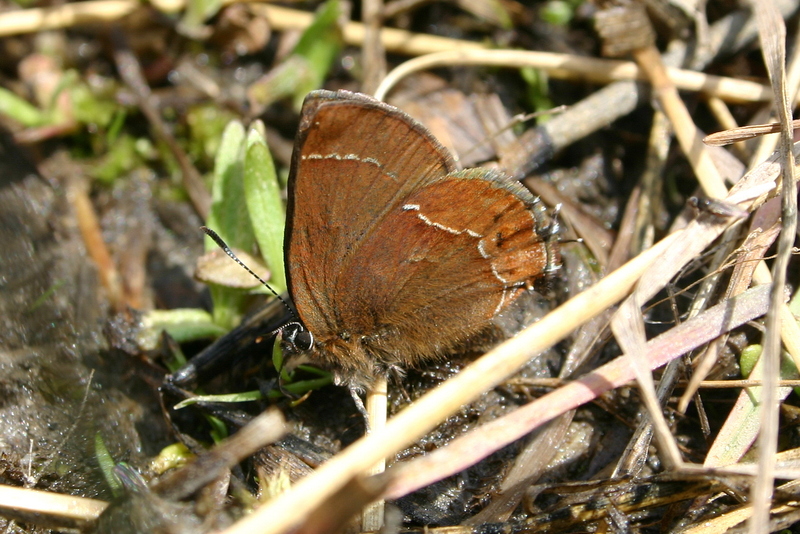 Underside gray-brown, darker toward wing bases. Postmedian line is white bordered with black on the inside edge. Life History: Eggs are laid on the host; caterpillars feed on all exposed parts of the plant. Chrysalids hibernate in the mistletoe mass. Caterpillar Hosts: Pine dwarf mistletoe (Arceuthobium campylopodum) which grows on conifers. Habitat: Coniferous forests, especially old-growth. Range: Very local and scarce. Pacific Slope mountains from British Columbia south to central California. Conservation: All populations are worthy of conservation concern. Management Needs: Maintain old-growth forests with this species\' habitat requirements.